Friends of the Island Fox: Where Can You See An Island Fox on The Mainland? In 2017, there are less than a handful of island foxes in captivity. 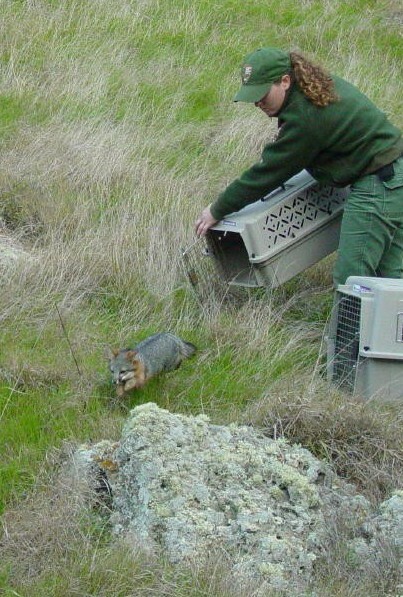 Since 2008 and the end of captive breeding to help recover island fox populations, the goal has been to keep island foxes in the wild. In 2017, the only island foxes in captivity are individuals that can not be returned to the wild. Most were found as pups abandoned by their parents on San Clemente Island. 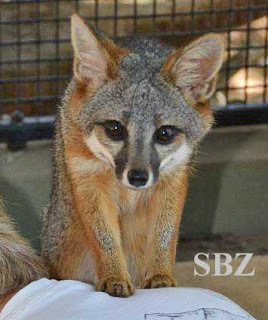 Drought over the past few years has challenged island fox survival and Navy personnel on San Clemente Island have found six pups that could not be reunited with a parent and were too young to survive on their own. 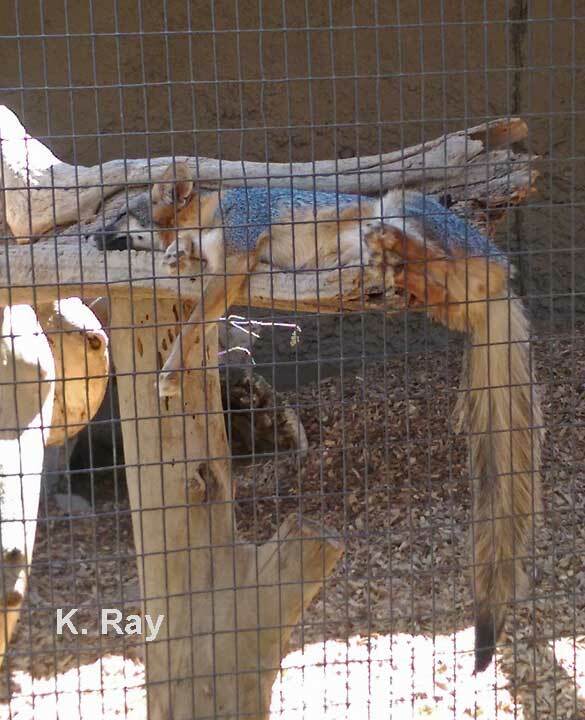 Beau, formerly at the Santa Barbara Zoo, is currently at The Living Desert in Palm Springs. 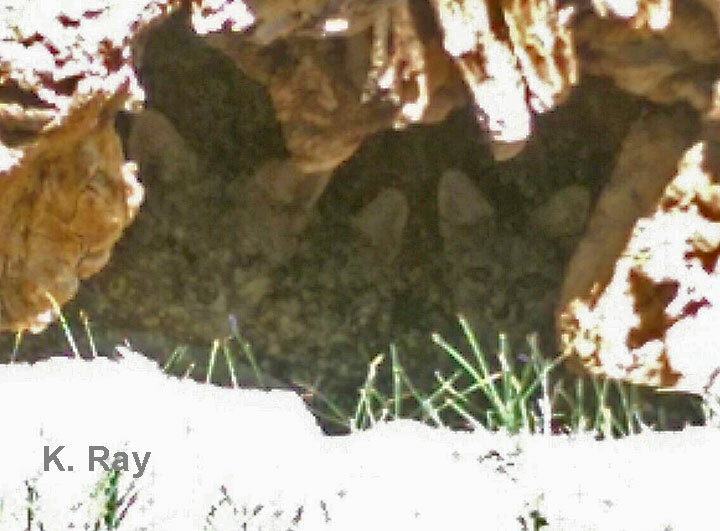 Two female island foxes can be seen at the CA Living Museum in Bakersfield. 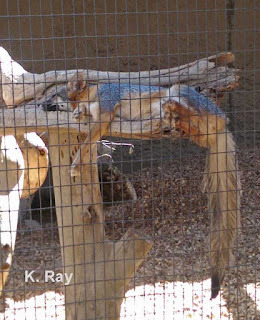 They are living with a female gray fox (Urocyon cinereoargenteus). 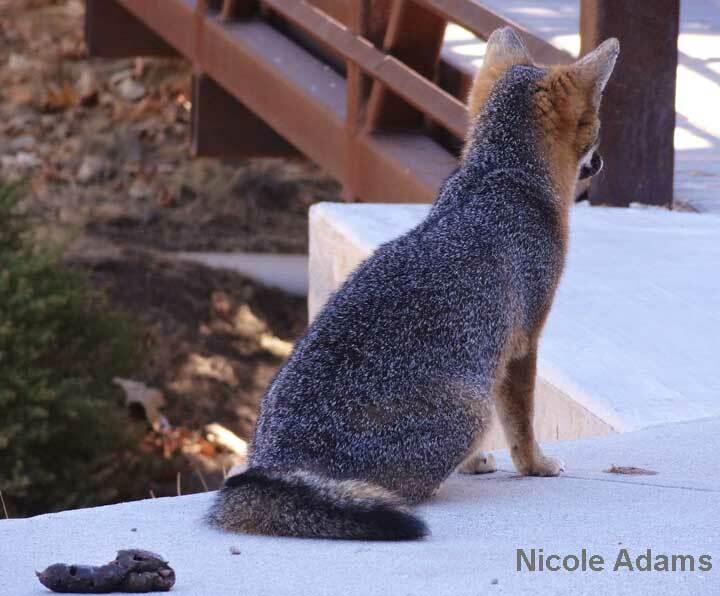 The gray fox is the ancestor species to the island fox and this match-up allows you to see how much smaller the island fox is in comparison to its ancestor. 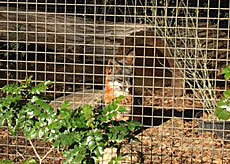 Many visitors mistake the island foxes for babies of their cousin. 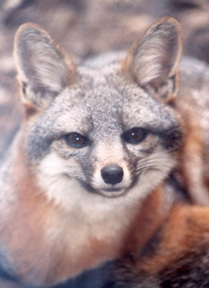 Island foxes (above) have relatively short tails for their size. The gray fox (right) has a much longer tail than the island fox. What advantage is there to having a shorter tail on the islands? Is the genetic trait for a shorter tail linked to some other beneficial trait? The answer is still out there waiting to be discovered. 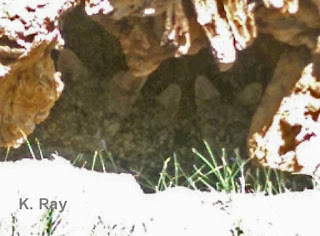 If you can't travel to the Channel Islands, you can still see an island fox in a few special places. Island Fox Awareness Day This Weekend !